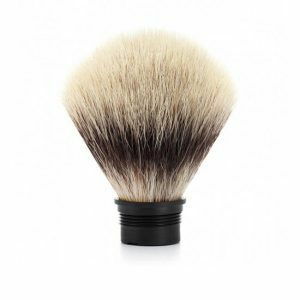 The Shaving gift set from Muhle consists of a traditional High-Grade Black Resin Safety Razor and Silvertip Fibre® Badger Shaving Brush plus a pique waffle Shaving Towel and a pack of Muhle razor blades. Free Muhle shaving cream with your order. The shaving cream will be added to your order on dispatch.